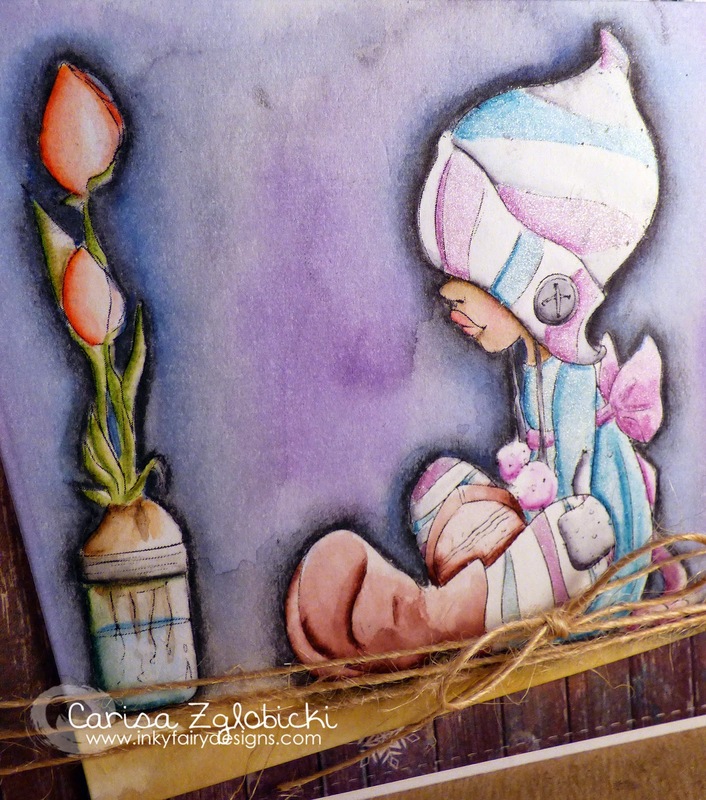 Since I have another post planned for tomorrow (you definitely don't want to miss it **giveaway alert** so be sure to follow my blog), I'm moving up my regularly scheduled "Watercolor Wednesday" post to today! Do you ever create a card or color an image and think holy crap, I did that?! Well, this card and image for me was one of those moments! I can't believe I'm just now sharing on my blog. Sometimes because I get so excited and I share on instagram or Facebook right away, I totally space actually blogging about it! I actually colored this image a month ago! 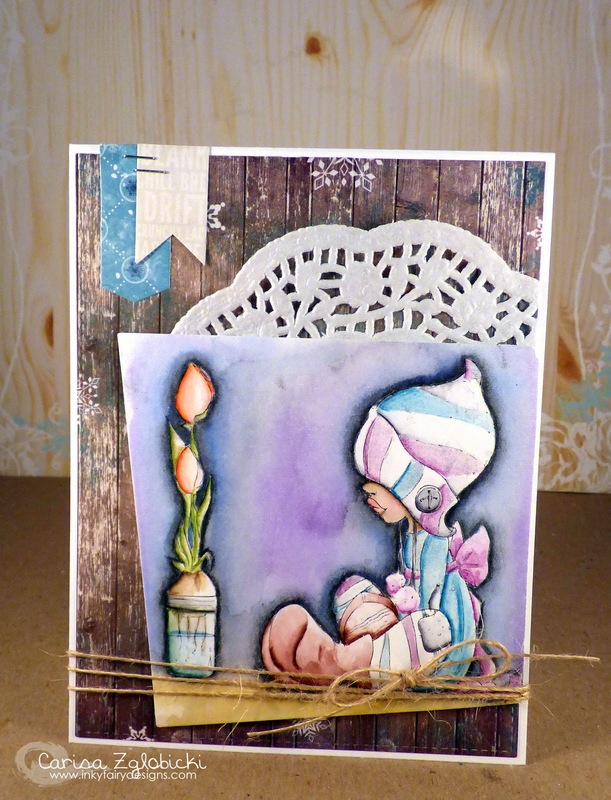 This card features so many of my favorite things - Bo Bunny Altitude paper, Saturated Canary digital image, Inktense pencils and Wink of Stella glitter pen!!! Oh my! Even my favorite colors purple and teal! I also created a little video highlighting bits of my coloring on this image. I hope you enjoy it! The image probably took me about an hour to color start to finish (including the background) but I condensed it down to under 10 minutes! ;) I wanted to highlight the different techniques I used throughout without boring you with the entire image coloring - I would love your feedback on if you found it helpful or enjoyable as I decide on new videos to create! Thanks so much for stopping by - if you liked my card today and don't want to miss a post please be sure to follow me by clicking the button below! Growing In Unity Blog Hop!